Greer, Margaret R., Walter D. Mignolo and Maureen Quilligan, eds. 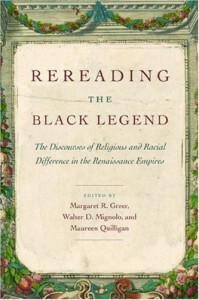 Rereading the Black Legend: The Discourses of Religious and Racial Difference in the Renaissance Empires. UP Chicago, 2008.